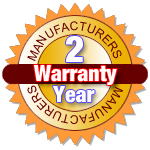 The Draytek Vigor2930 is a dual-WAN router with policy-based load-balance, fail-over and BoD (Bandwidth on Demand); it also features advanced bandwidth control mechanisms such as IP-layer QoS, NAT session limitation, bandwidth borrowed, etc., to allow easy, flexible and reliable access control and bandwidth management. The Vigor 2930 SPI (Stateful Packet Inspection) firewall uses object-based design to make settings of firewall policies easy. The CSM (Content Security Management) feature enables more precise and efficient access control for IM (Instant Messenger) and P2P (Peer to Peer) applications. Furthermore, functions such as DoS / DDoS (Denial of Service / Distributed DoS) and URL / Web content filtering minimize security threats both inside and outside the network. 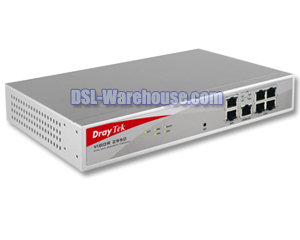 With hardware-based implementation of the VPN protocols, the Draytek Vigor 2930 supports up to 100 VPN tunnels in compliance with advanced protocols such as IPSec / PPTP / L2TP / L2TP over IPSec with AES / DES / 3DES for encryption and MD5 / SHA-1 for authentication. 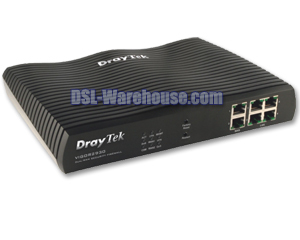 The DrayTek Vigor2930 "n" model (Vigor 2930n) conforms to IEEE 802.11n Draft-n standards. 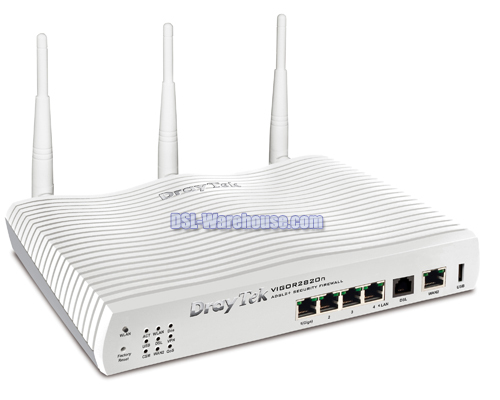 Supporting WEP / WPA / WPA2 encryption, MAC address control, wireless LAN isolation, wireless VLAN and 802.1X authentication. 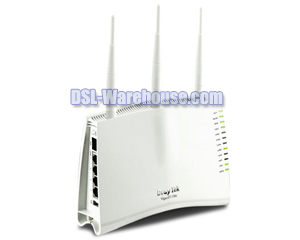 The wireless rate control function can adjust the data rate of each wireless station (client). WDS can help users to extend wireless coverage easily. With hardware-based implementation of the VPN protocols, the Vigor2930 supports up to 100 VPN tunnels in compliance with advanced protocols such as IPSec / PPTP / L2TP / L2TP over IPSec with AES / DES / 3DES for encryption and MD5 / SHA-1 for authentication.